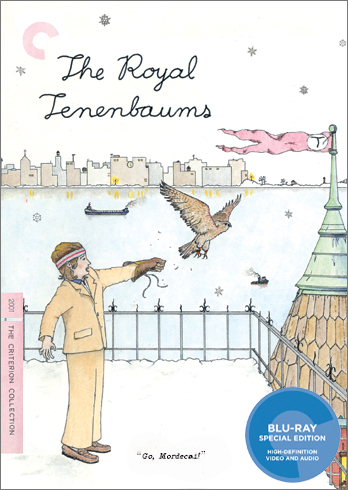 Royal Tenenbaum (Gene Hackman) and his wife, Etheline (Anjelica Huston), had three children—Chas, Margot, and Richie—and then they separated. Chas (Ben Stiller) started buying real estate in his early teens and seemed to have an almost preternatural understanding of international finance. Margot (Gwyneth Paltrow) was a playwright and received a Braverman Grant of $50,000 in the ninth grade. Richie (Luke Wilson) was a junior champion tennis player and won the U.S. Nationals three years in a row. Virtually all memory of the brilliance of the young Tenenbaums was subsequently erased by two decades of betrayal, failure, and disaster. The Royal Tenenbaums is a hilarious, touching, and brilliantly stylized study of melancholy and redemption from Wes Anderson.